Seat(s): They aren’t the much nicer lie-flat seats that you’ll find aboard the airline’s A380 or 777-300 but will do for a relatively quick intra-Asian flight. 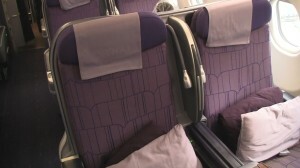 These angle-flat seats in Thai Airways Business Class (Royal Silk) aboard an A330-300 provide average width and legroom for business class and unfold into a comfortable recline position. Fully extended, they become the type of seat many of us hated when gravity combines with light chop to inch your sleeping self toward the floor. It’s just an unpleasant way to wake up. Row 15 (shown in video review) is actually fourth from the front so you’re nicely insulated from galleys and washrooms. Cautions come with bulkhead row 11 that’s near the front galley and are bassinet ready for infants…and also with row 17, the last row in Royal Silk that’s just in front of another galley and a set of washrooms. Tech/Connectivity/Entertainment: Expensive, slow wi-fi. 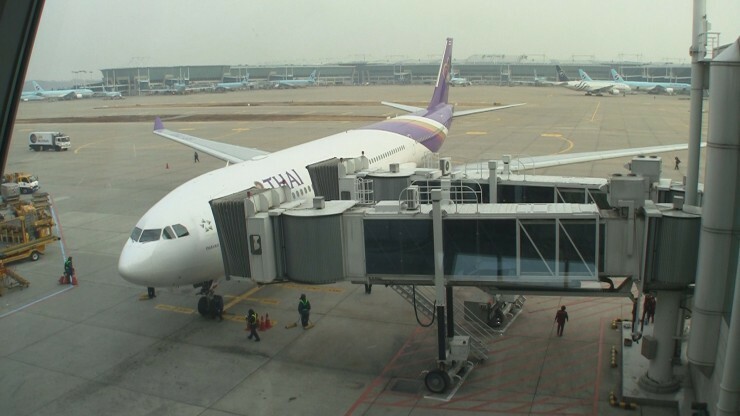 The one thing that’s likely to be the same on YOUR flight is the expensive part so you’ll really want to surf slowly to TMZ to catch up on Hollywood gossip while you hop around Southeast Asia. Our advice, skip it. There’s a fairly decent collection of big movies and enough supplemental programming built into your personal entertainment system to keep you busy for a few hours. If not, fire up the moving map and count down the hours and minutes to arrival. You’ve got options. If none of the above suit your finicky in-flight needs, then plug into your AC and/or 2 USB ports and fire something up on one of your own devices. Play the unofficial Yahtzee app on your phone to your heart’s delight. Food: I’m not sure if the menu descrptions were just too grandiose or if we got the wrong food. 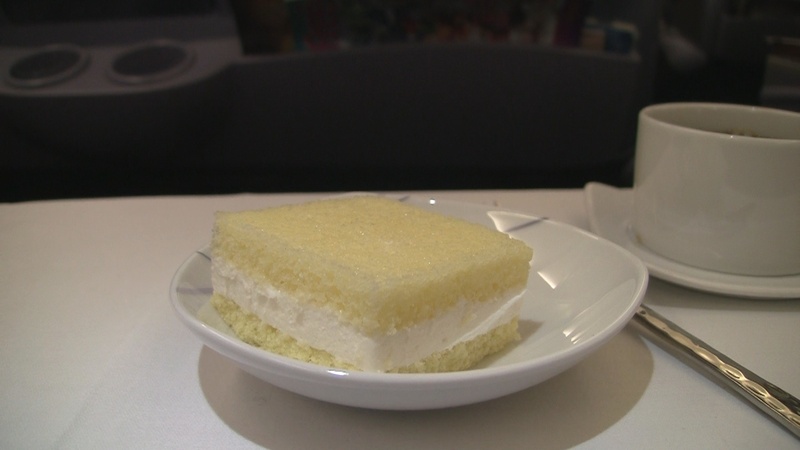 We ended up with business class portions and presentation of an economy class meal. That said, I was happy to just not have to peel back hot tinfoil to get to my food. Service: Boarding was a breeze for Royal Silk flyers. We were first to board and welcomed with the normal Thai greeting and nothing but smiles. Flight attendants were helpful in getting everyone settled in and were pleasant and friendly throughout the flight.